The rapper reflected on his last encounter with Mac Miller during a podcast interview. Lil Xan said the death of his "hero" Mac Miller made him want to stop making music. The rapper appeared on Adam22's No Jumper podcast, according to E!, where he talked about mourning the loss of Mac Miller and reflected on his last encounter with the late rapper. "The Mac s--t is crazy," he said. "I've been crying in my apartment, Mac didn't die, Mac didn't overdose." "When your hero dies, f--k that s--t, I don't want to make music no more," he continued. Lil Xan said he saw Miller just a few days before his death. "Before I left, he was like 'Be safe.' People say that you know, like 'be safe.' 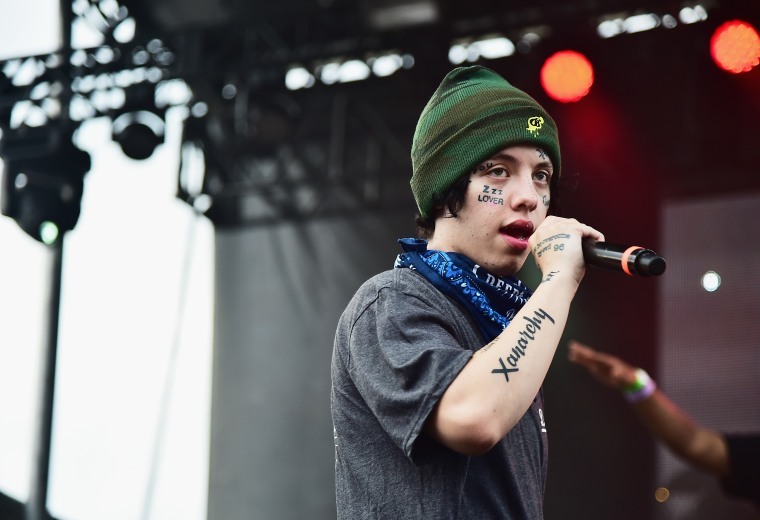 But he grabbed me, and he pulled me back and he was like 'No I mean BE SAFE,'" Lil Xan said. "That almost made me cry, that's my idol right there."